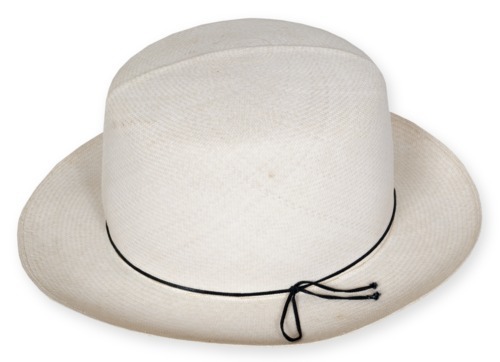 Panama hat worn by William Allen White of Emporia, Kansas. White was a Pulitzer Prize-winning author, newspaper editor, and politician. He was known to often wear Panama hats, popular headwear imported from South America in the early 20th century. White may have worn this hat while serving as a delegate to the 1920 National Republican Convention in Chicago, Illinois.